Your ticket to Tierrasanta Living! Resort-style living! 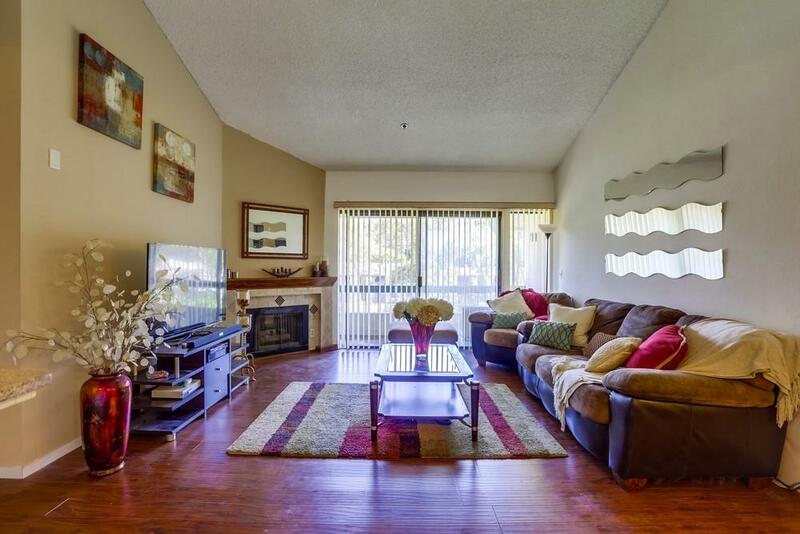 Secure building, underground parking, fun community. 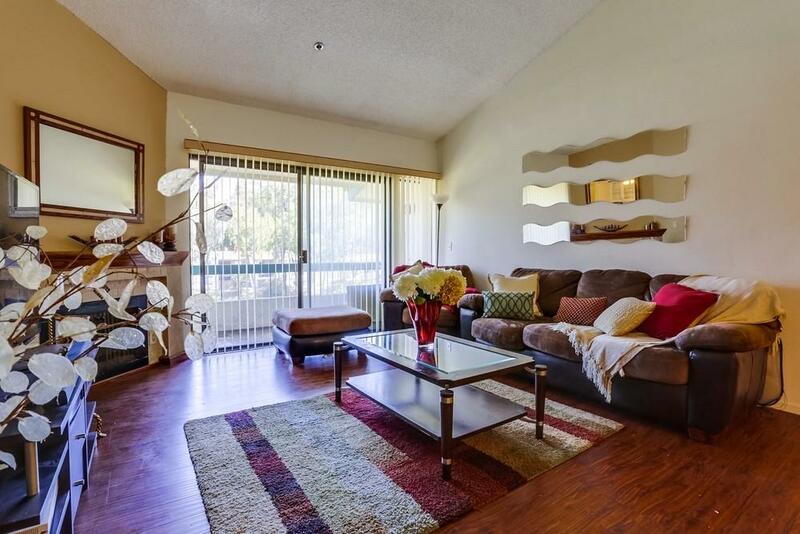 Top floor partially upgraded 2BR/2BA w/vaulted ceilings! 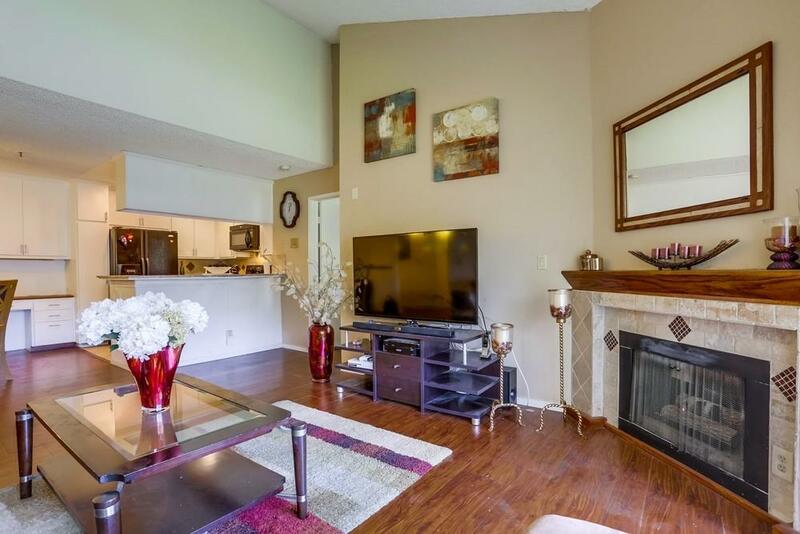 Warm wood laminate flooring in living room w/beautiful corner fireplace, upgraded kitchen w/granite counters, glass door storage cabinets in dining rm, & dual master suites! Builtin storage in bedrooms. Washer\dryer hookups in unit! Basic cable/internet/HBO& Showtime included in HOAs! 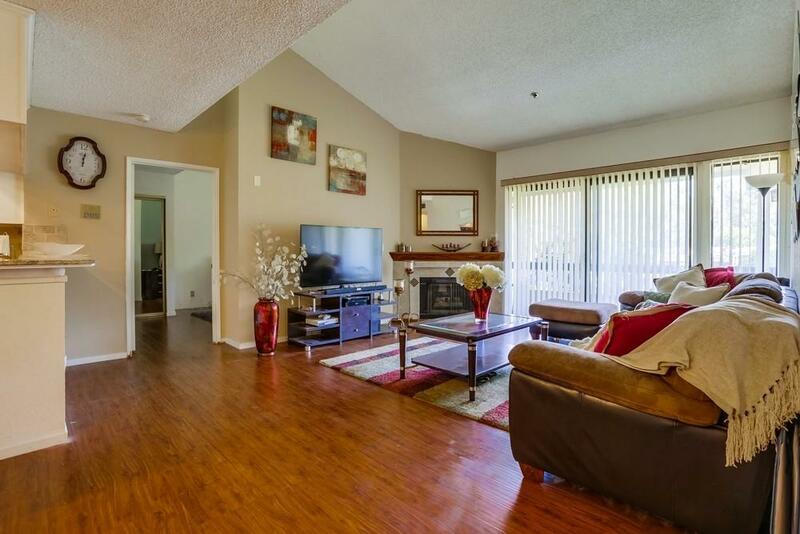 FHA/VA approved, move in ready, overlooking green belt.